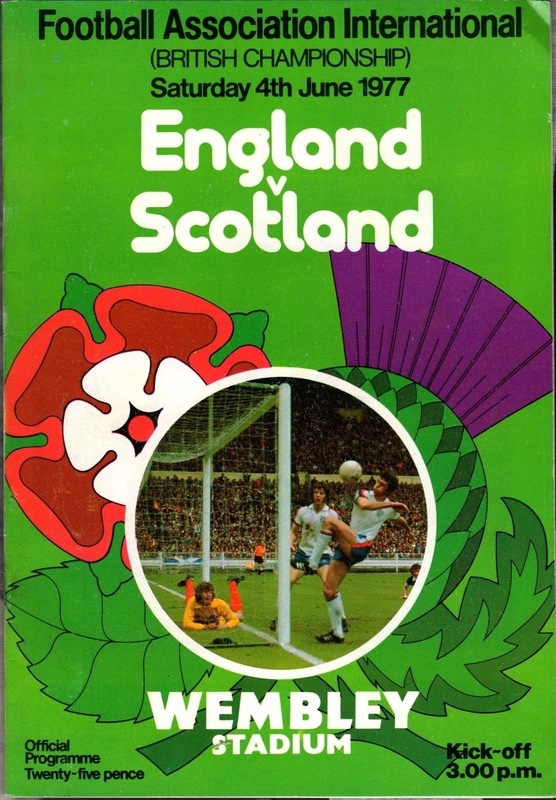 The 1977 edition of the British Home Championship took place in the middle of the 1978 World Cup qualifiers. 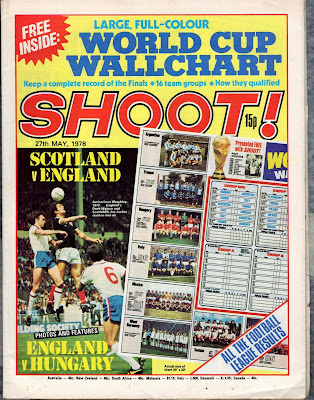 Ultimately, from the Home Nations, only Scotland would end up qualifying but nothing was settled yet. This edition of the Home Championship also took place before both England and Scotland embarked on a Tour of South America as preparation for potential qualification. The Management of both England and Scotland would be in the news before and after this Championship. 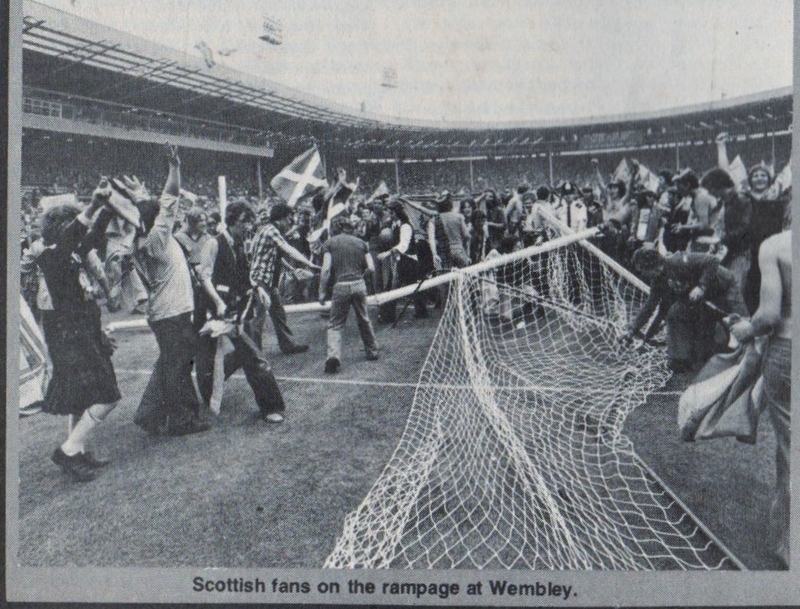 The English were still under the Management of Don Revie but events would shortly unfold to taint him ever after. Scotland were making their debut under a new Manager. Willie Ormond had resigned on May 5th. The Scottish FA had initially set their sights on Celtic Glasgow Boss Jock Stein, who refused and preferred to remain with Celtic. As a result, Aberdeen Manager Alistair (Ally) MacLeod was offered the post and accepted on May 17th. 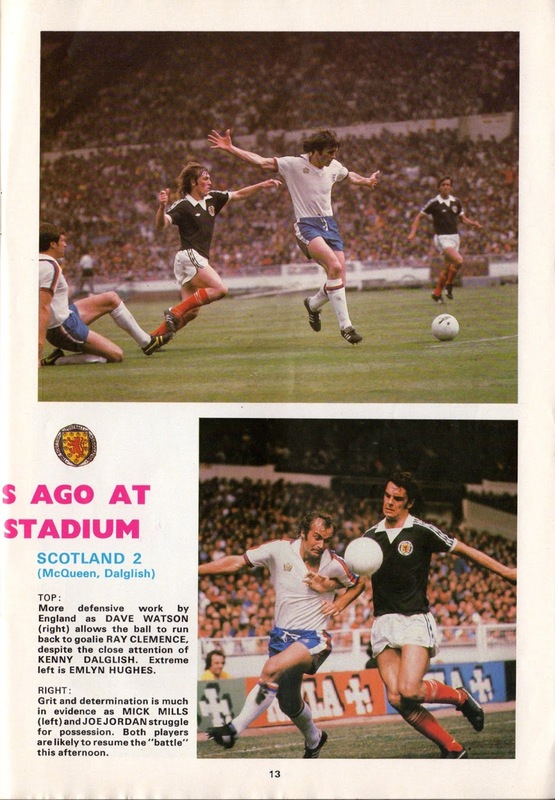 MacLeod’s first match in charge of Scotland was on the opening day of the 1977 Home Championship (May 28th) that featured all four teams. Wales hosted Scotland at Wrexham and Northern Ireland hosted England at Belfast. Scotland and Wales were incidentally in the same World Cup Qualifying Group and this particular encounter was of little importance compared to the one in October at Anfield. Scotland were missing Aston Villa’s Andy Gray who had been named as PFA’s player as well as Young player of the year. The match turned out to be a hard fought scoreless tie. MacLeod appointed Bruce Rioch as Captain, thus making him the first ever English-born player to Captain Scotland. At Belfast, England were missing their Liverpool contingent, who had been rested after their triumph in the Champions Cup against Borussia Moenchengladbach. 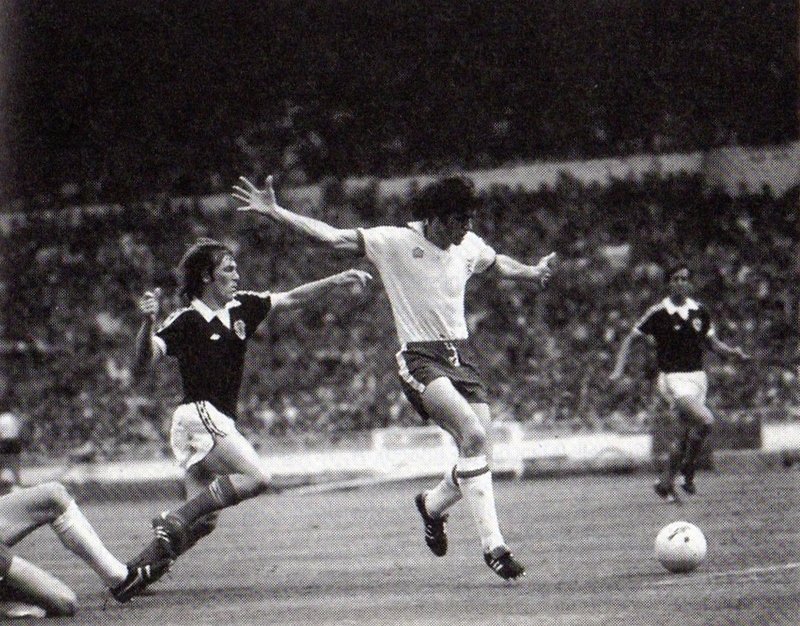 Liverpool star Kevin Keegan in the aftermath had signed with West Germany’s SV Hamburg. Liverpool goalkeeper Ray Clemence’s absence earned a recall for Peter Shilton (returning after a self imposed exile). Northern Ireland took the lead in the fourth minute. Jackson made a run before giving ball to Gery Armstrong. Armstrong’s shot was blocked and McGrath scored from the rebound. 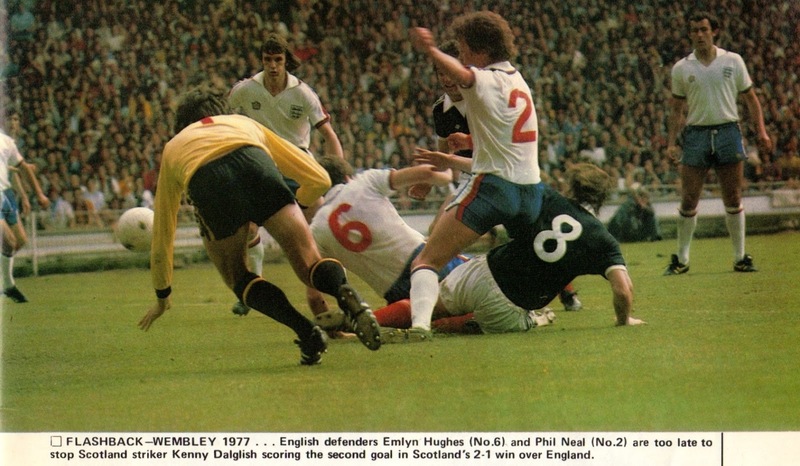 England tied the match in the 27th minute, when Colin Todd assisted Channon for the equalizer. For England Paul Mariner had a disappointing game upfront and was ineffective. Revie sent on the debutant Brian Talbot in place of Wilkins in the 65th minute, and it was Talbot who would be involved in England’s winner just minutes before the end. Talbot crossed from the right for Tueart to head in from a low height. The result seemed somewhat unjust, as the Irish had generally been better in the second half. 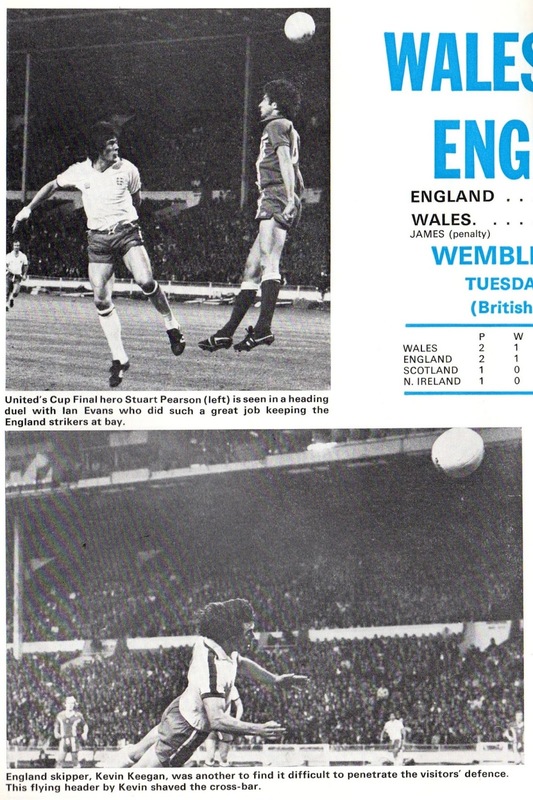 On May 31st, England hosted Wales at Wembley and made five changes from its previous match as its Liverpool players (including the new Footballer of the Year, Emlyn Hughes) along with Kevin Keegan (now with Hamburg) were available. Despite playing at home, England were disappointing. 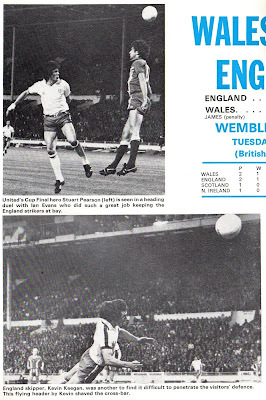 Just before halftime, Peter Shilton fouled Leighton James in the box and James himself converted the spot kick. After going behind, England started playing better and at least started to show some initiative. They also had a penalty kick appeal a foul on Pearson that was waved off. However, the tired Engish could not find a way through. This was Wales’ first win on English soil in 42 years. There was controversy prior to the start of the match as the England refused to play the Welsh Anthem ‘Hen Wlad Fy Nhaudau’. They would only play ‘God Save the Queen’ to avoid any emabarassment to the dignitaries present. Mahoney and Yorath planned a protest. After ‘God Save the Queen’ was played, the English players dispersed, but the Welsh squad stood in line in defiance in a signof protest amidst the jeering from the English crowd. After match John Toshack told team to not give away shirts as ‘we’ll never ever do what we’ve done tonight”. 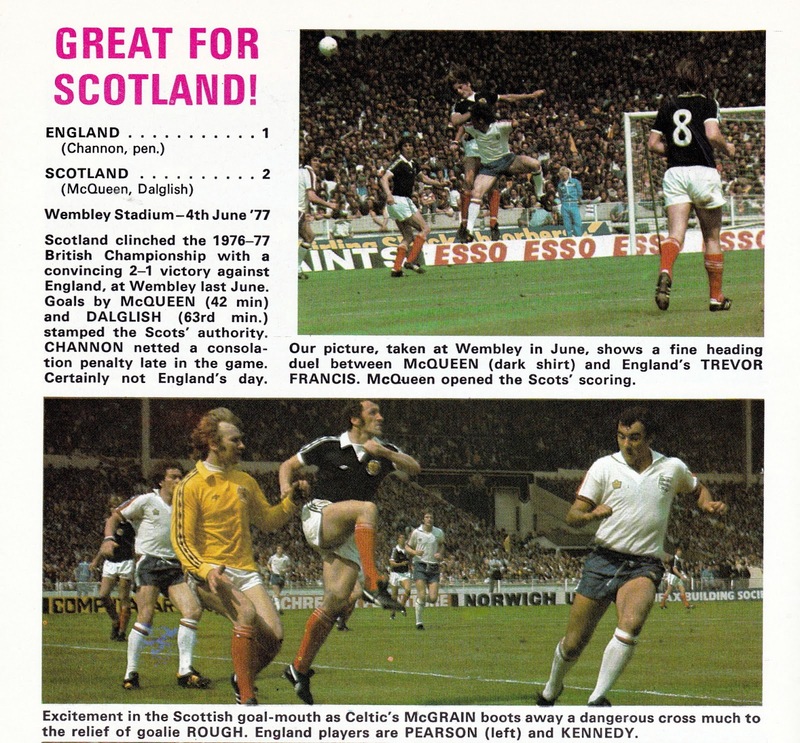 The next day (June 1st), Scotland hosted Northern Ireland at Glasgow. 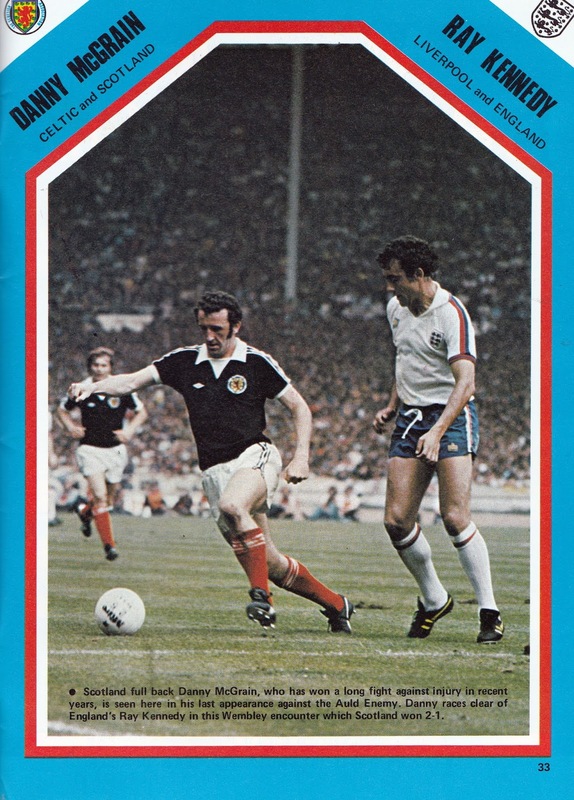 Scotland had Joseph Jordan back from injury. Scotland comprehensively defeated the Irish (3-0) with Keegan’s designated successor at Liverpool, Kenny Dalglish scoring two goals. 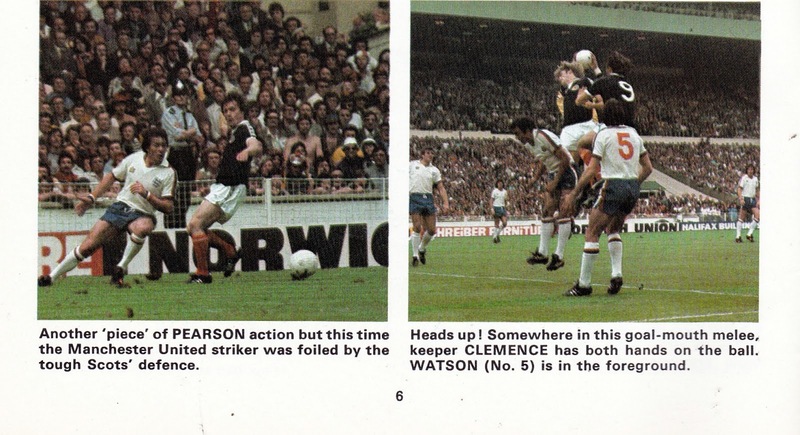 Gordon McQueen scored as well to complete the rout. 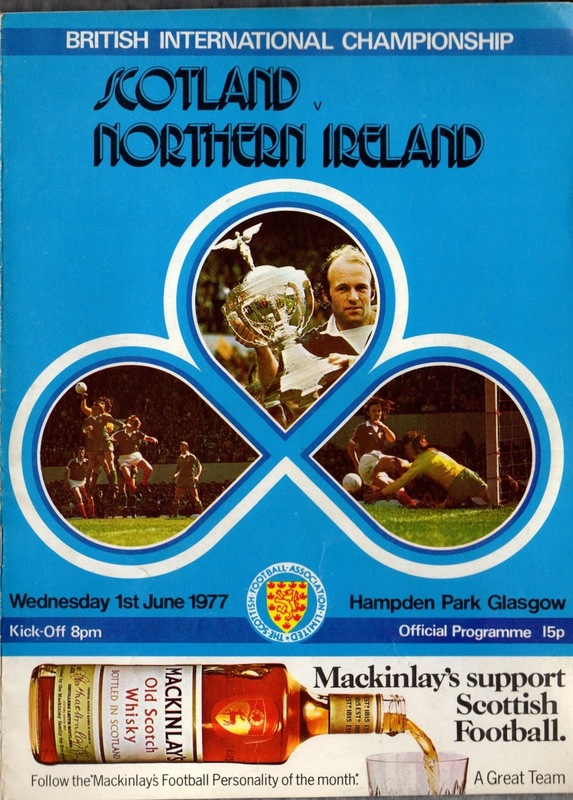 On June 3rd, Northern Ireland hosted Wales at Belfast and it was a balanced encounter that ended in a (1-1) tie. 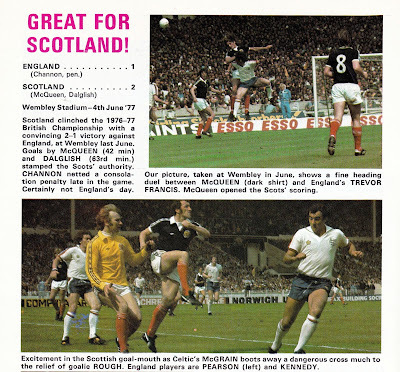 On June 4th, the main encounter took place with England hosting Scotland at Wembley. 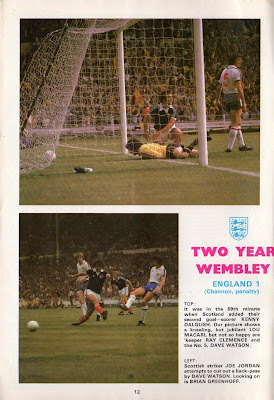 England had Ray Clemence back in the net and were at full strength agaisnt their eternal rivals. 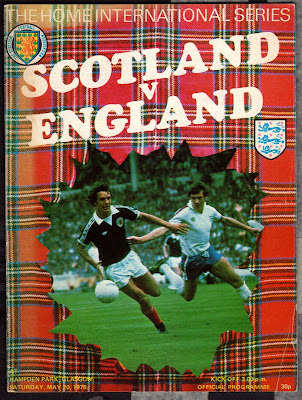 The English were better in the early going but as the half wore Scotland took control. Scotland took the lead just before halftime. 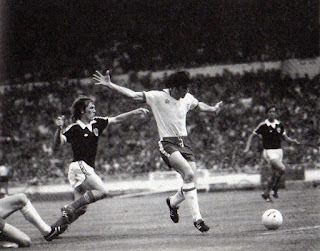 They were awarded a free kick on the left side after a handball by Phil Neal. Hartford’s free kick was headed in by McQueen. 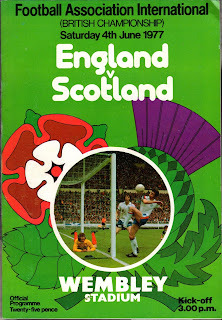 England attacked harder in second half but Scotland were always more dangerous. They doubled the lead in the 60th minute. 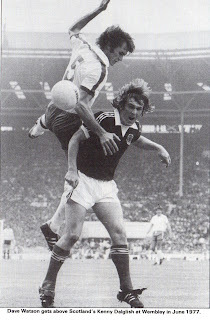 Asa Hartford released Willie Johnstone on the left side touchline, who crossed to the right side post to Rioch. 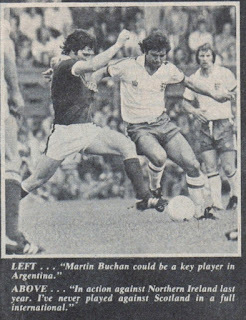 Rioch headed the ball back inside the box to Dalglish who took a shot. His attempt was at first blocked but he scored from the rebound. 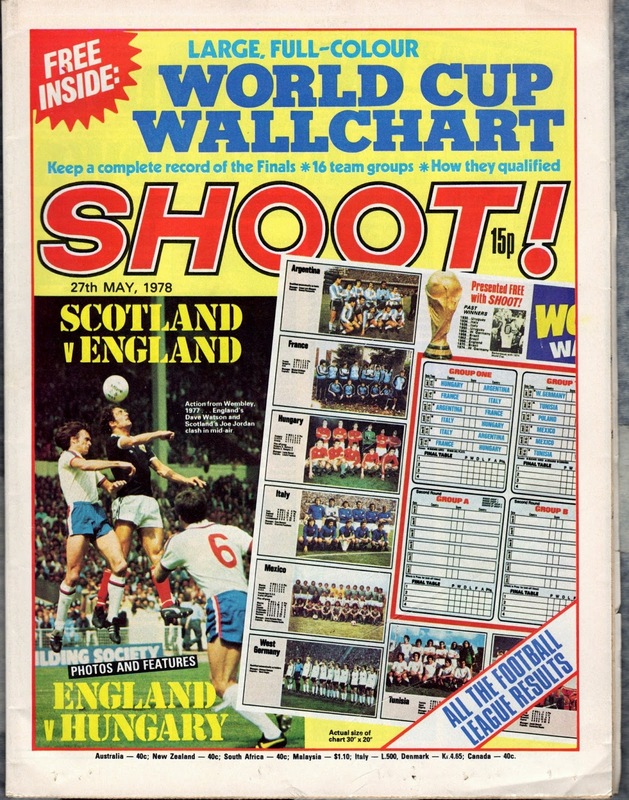 England were sluggish and did not appear likely to score until just minutes before the end they were awarded a penalty kick after Trevor Francis was fouled by McQueen inside the box. 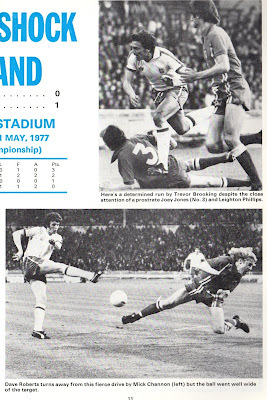 Mike Channon scored from the spot. At the end of the match, Scottish fans invaded the pitch and broke Wembley’s goalposts. It was said that some fans were angry, as an Edinburgh gas board worker had died of injuries after diving into the Trafalgar square fountain. This was their way of venting their anger. The damages were estimated to be around £150,000. This incident was perhaps the catalyst for the game being scrapped in a decade’s time due to security concerns. This was England’s third defeat in four matches and in general a turbulent summer. During their Tour of South America, it would come to light that England Manager Don Revie was negotiating with officials from the United Arab Emirates in secret. He would a Ten-year ban for breach of contract (that would eventually be overturned by the high court). 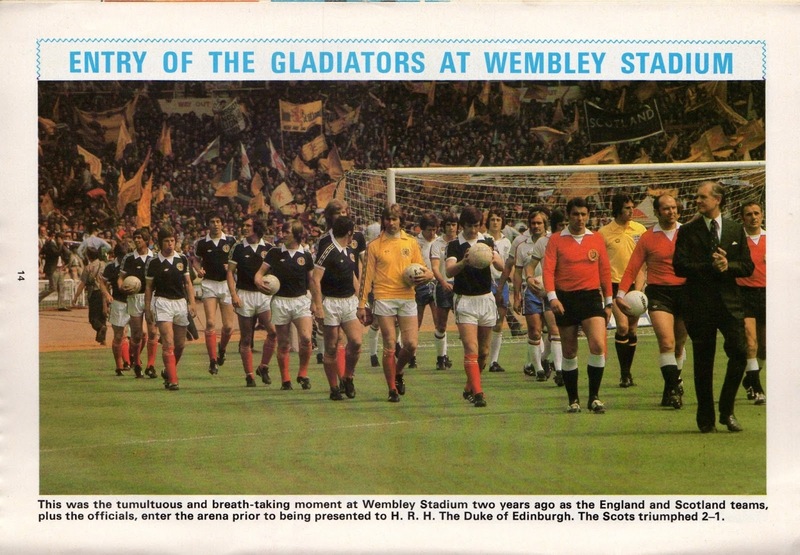 Scotland would bask in the glory of this Home Championship win and achieve World Cup Qualification in the Fall. Note: Kevin Keegan had just joined SV Hamburg from Liverpool FC.